The draft specification for NIST 800-63-3: Digital Authentication Guidelines is out for review. After researching and studying the prior ‘best practices’, it was decided that it just wasn’t helping as much as people thought. 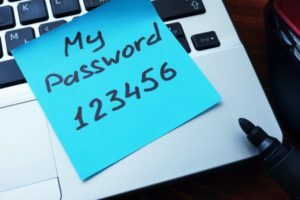 The new focus is on user-friendly password rules. Instead of having to follow some archaic combination of character requirements (which are often fairly arbitrarily decided upon), the shift is now mostly just towards longer passwords/passphrases. The minimum is now recommended at 8-characters (which is still barely anything) and the recommended maximum is at least 64-characters… Nice! Also, they recommend comparing the password against known bad choices and then prevent users from setting their password to that. Periodically refreshing a list of the ‘x’ most common passwords from breaches, leaks, etc. and using that for the comparison would likely satisfy that… It’s already something I felt should be a no-brainer, but I’m glad it’s now part of an official recommendation. Additionally, passwords should be hashed, salted, and stretched. All in all, it’s a lot of good advice. I hope at least some of it will get adopted by more non-government sites, services, and companies.